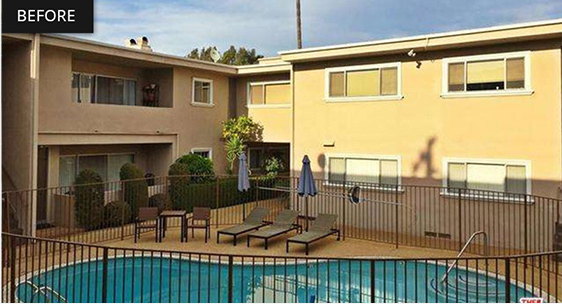 This renovation involved removal of the existing iron pool fence, which had started to rust. We replaced it with a 5ft tall frameless glass pool fence, and standard glass-to-glass gate with a keyed safety latch. 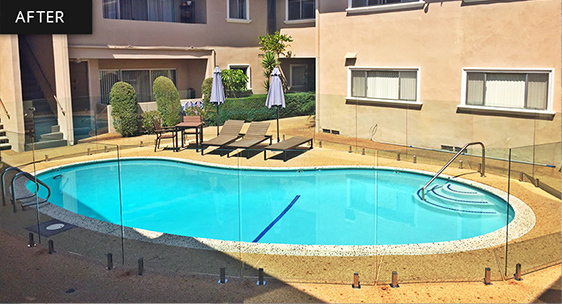 The result: a modern, sophisticated upgrade that met California pool code requirements and looked beautiful.